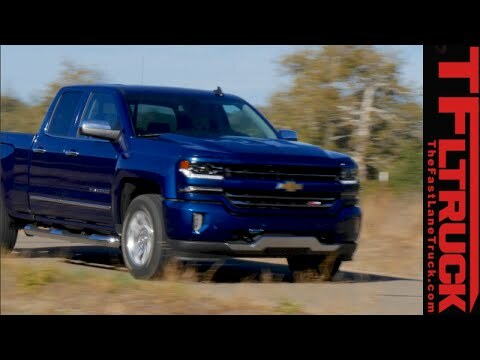 The 2016 Chevrolet Silverado distinguishes itself with bold new styling in the front, the addition of Apple CarPlay to its audio system, and with a newly available 8-speed automatic transmission for the 5.3-liter V8 engine. It all adds to the Silverado's strengths of utility combined with surprising refinement. Mostly enjoy but would like to see some changes. I have had a lot of issues with the tire pressure monitors. Also had issues with the original tires that came on the truck. The gas mileage for the truck is not very good ether. I do like the seats they are comfortable and the touch screen and backup camera works nice. I do wish it connected with phones easier and quicker. Due to having multiple phones it is been difficult to sink them while driving. Also would like to see the texting option on the main screen so you can be more hands free while trying to drive. The back seats are spacious and comfortable. I think it would be nice to have more USB ports through the truck for devices. Also would like to see the cruise control be more simple to engage. It is not very easy to do so the way it is on the steering wheel. The size of the vehicle provides a safer feeling on the road. I like being high off the ground in a truck, rather than low to the ground in a car. That also contributes to me feeling safer on the road since it is a bigger vehicle. The vehicle runs great, but it is relatively new so I wouldn't expect any different. The truck is very comfortable and I love having heated cloth seats. One down fall is getting in and out of the vehicle while pregnant since it is so tall. I am hoping that once we are putting a car seat in and out of the vehicle that the height does not hinder that process too much. I am glad we went with a crew cab rather than an extended cab though. Even with no children yet, I can only imagine how frustrating a smaller cab would be. I really do like the steering wheel buttons and quick change features. I am a truck person always have been. The great think about my Chevy is the dependability, the leg room, and the room to fit my whole family in the truck. I can pull large amounts of weight. The trailer brakes are awesome and so is the backup camera. My regret is. It getting a diesel truck. Current problems sometimes the truck feels like it does not want to go when passing on a freeway. Also the constant updates needed for the radio, GPS and other electronic features.